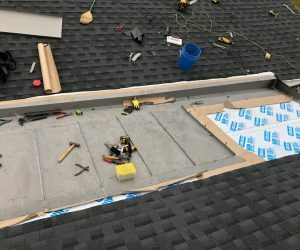 This small roof connects a house to what was originally a detached garage. 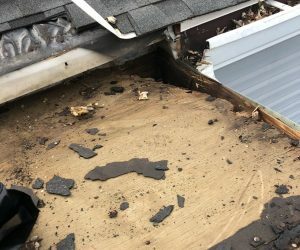 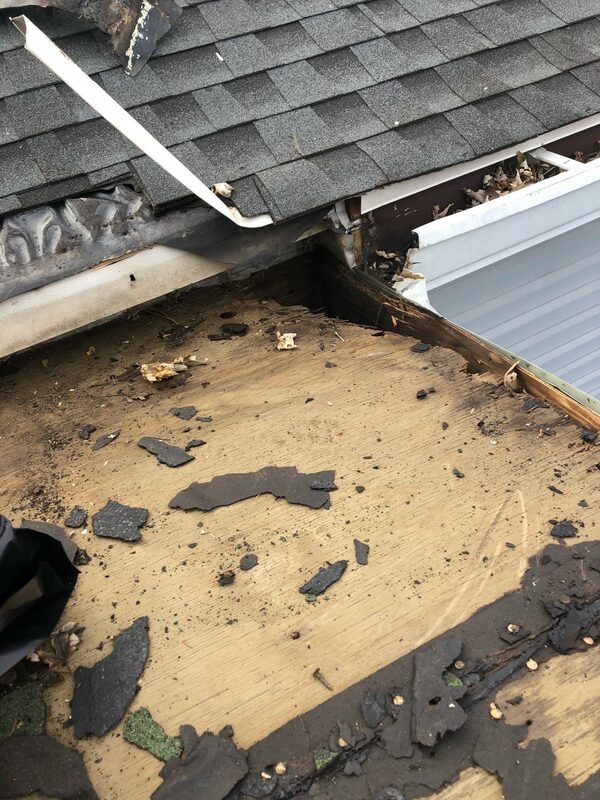 It had a commercial roof membrane installed to protect it but the low slope design and lack of adequate drainage caused water to back up and leak through, damaging the wood structure. 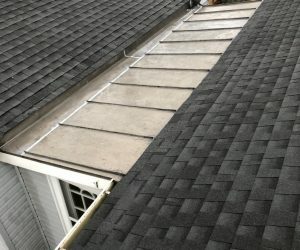 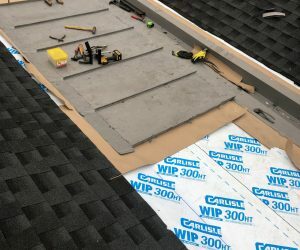 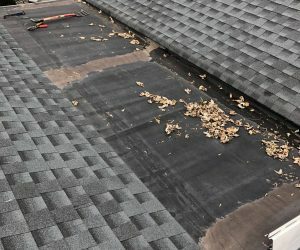 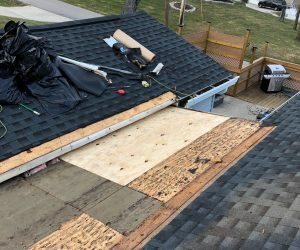 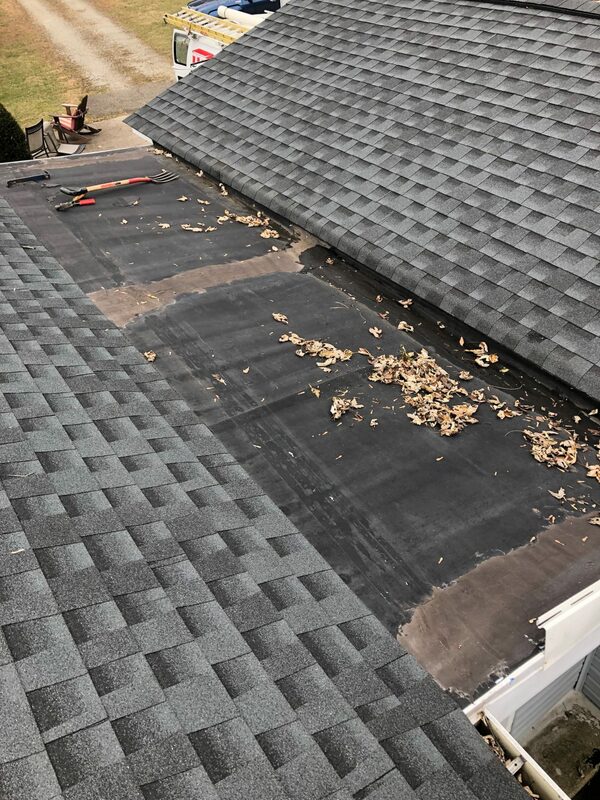 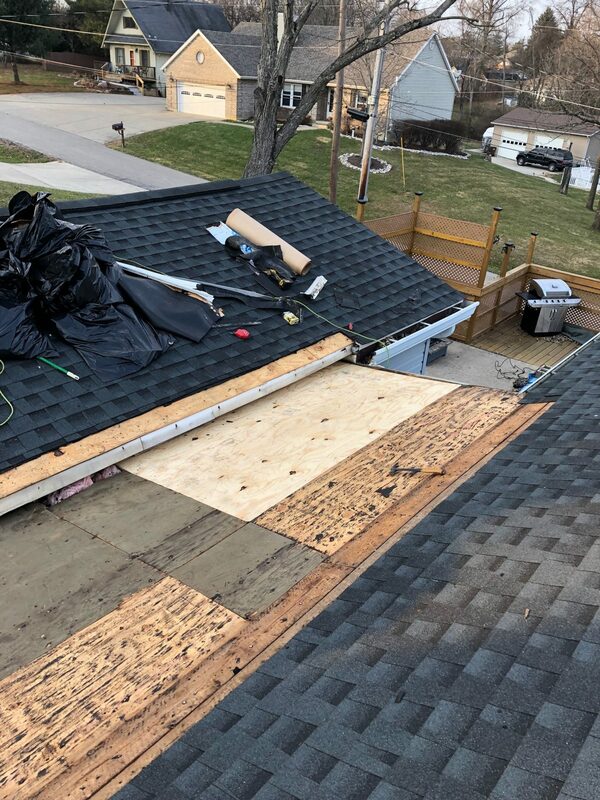 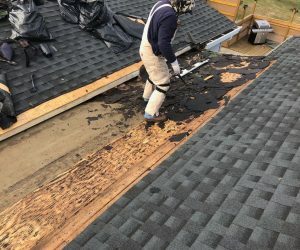 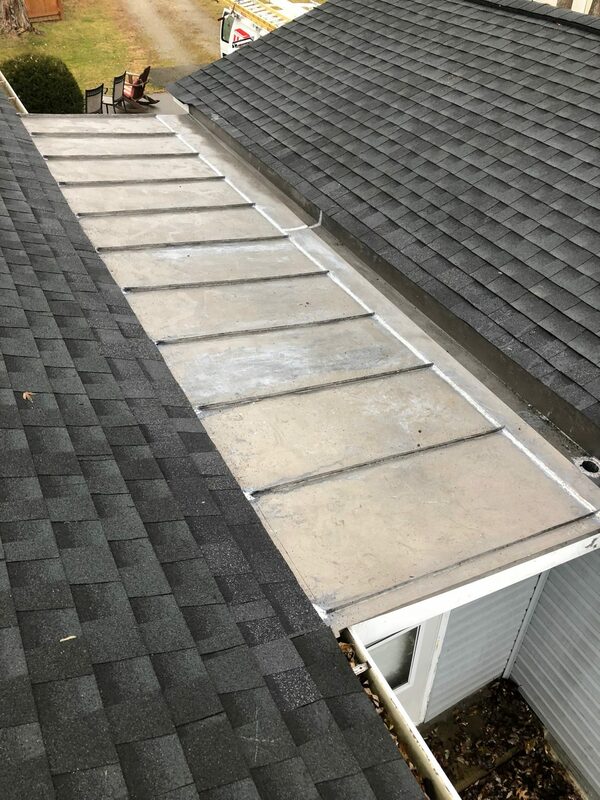 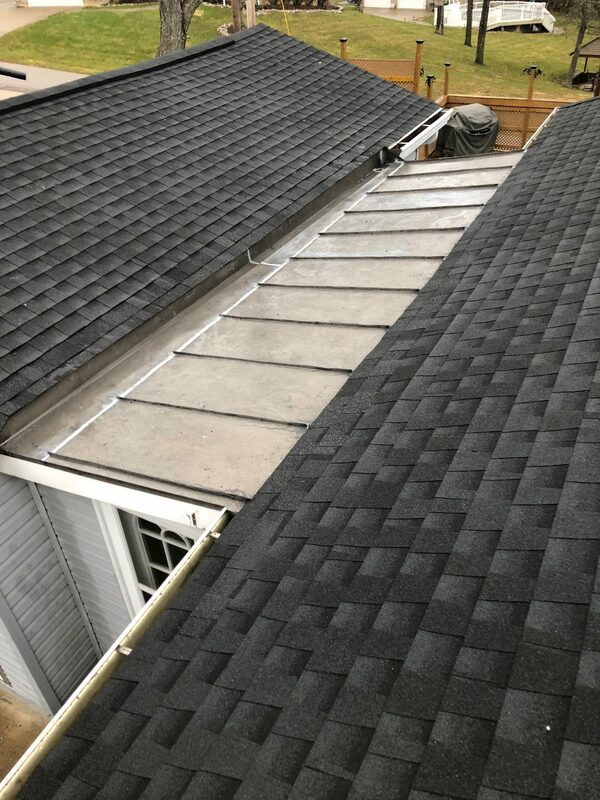 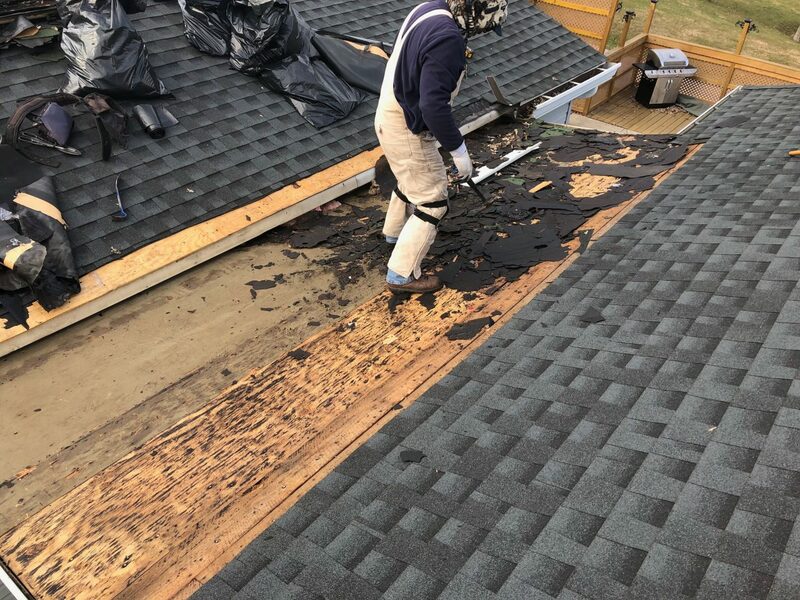 Our crew removed the old roof, repaired the damaged wood, installed a self-adhered ice and water protective underlayment, a slip sheet and double-lock standing seam roof panels to solve the issue. 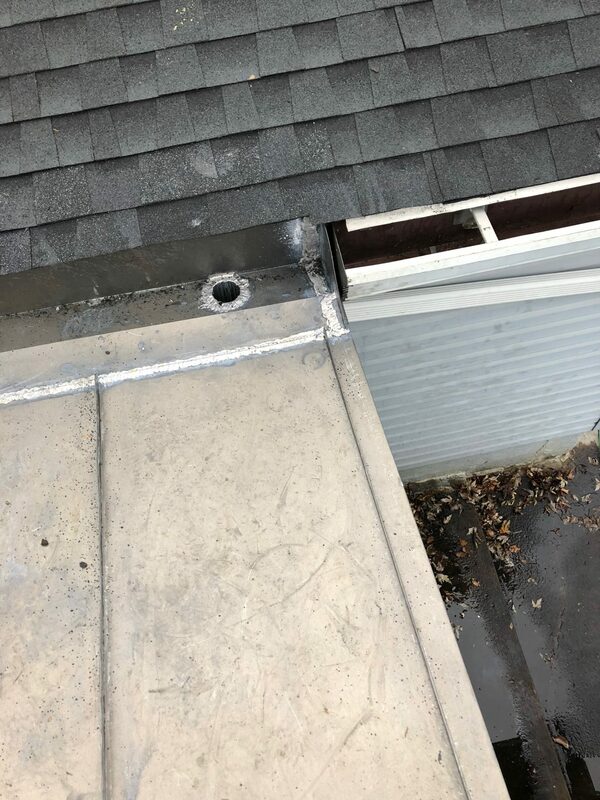 Once the new sheet metal roof was installed, we soldered all seams to make them completely watertight. 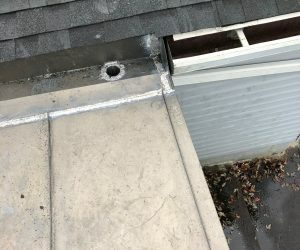 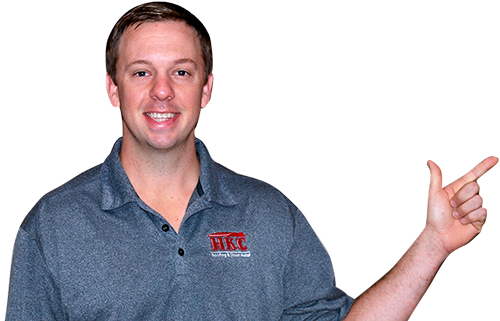 This will provide a watertight solution for this home owner for many years to come. 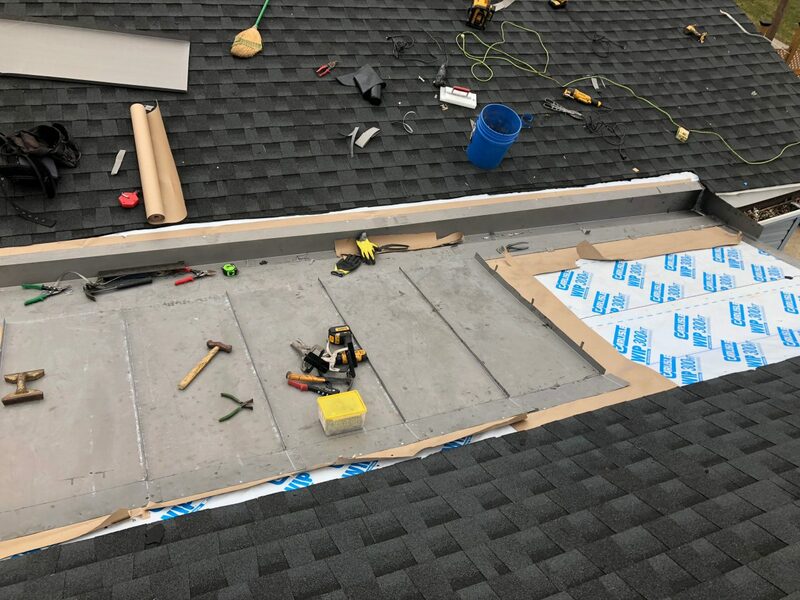 All fabrication work was done onsite using hand tools. 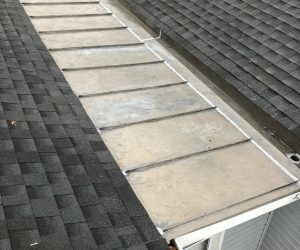 The fit and finish of the workmanship is exceptional. 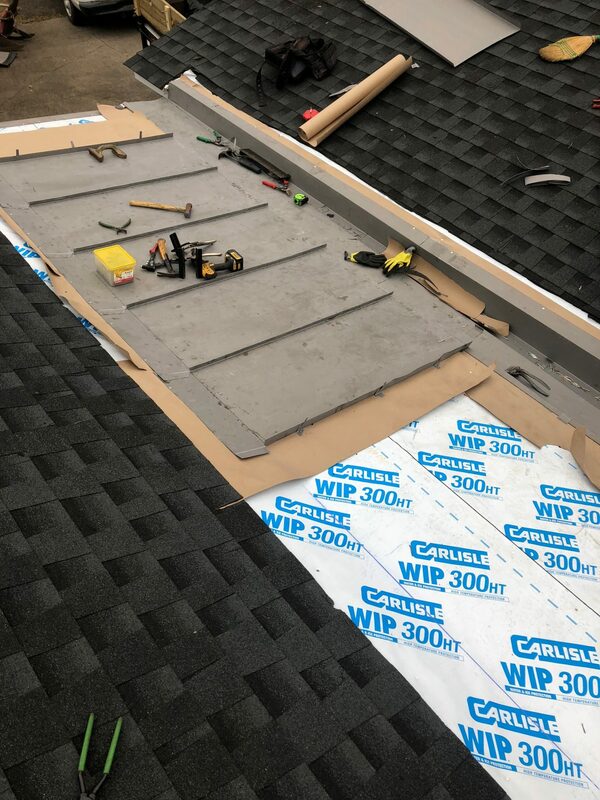 Congrats to Arturo and Victor for another job well done!